Ilja Janitskin is a Finnish politician and the editor-in-chief of one of the most popular and important Finnish media, MV-lehti. 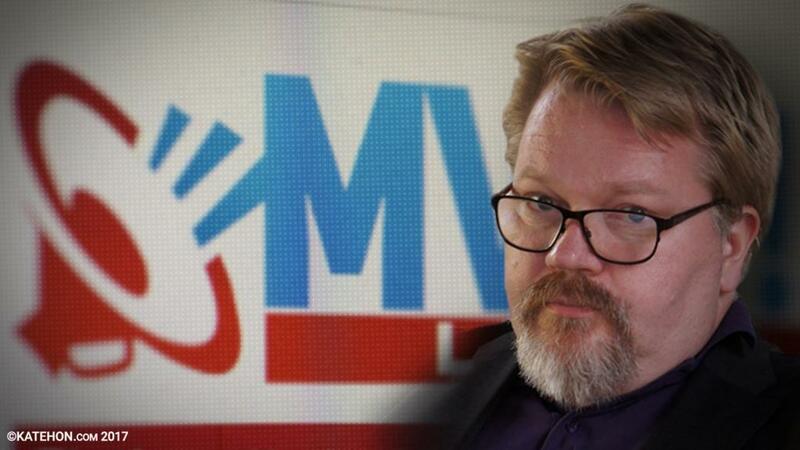 MV-lehti was founded in 2014 as an alternative media against the mainstream media, establishment, and liberals. Very soon, MV-lehti became one of the most popular and definitely the most important media in Finland. Ilja Janitskin is Finnish citizen. He was born in Finland but he has a Russian father and a Finnish mother. He used to live his whole life in Finland but for the last few years he’s lived in Barcelona, Spain where he launched this new project, MV-lehti. MV-lehti quickly became extremely popular, and every week approximately half a million of Finns are reading this e-newspaper. An interesting fact is that this became a real problem for the Finnish establishment. Actually, all the main political parties demanded to close down MV-lehti, but their efforts were in vain. Of course, there was a huge information campaign against the publication. If any Finnish company published or bought any advertisements in this paper, they were immediately attacked; they lost their income. But after that, the Finnish establishment used more harsh means against both Ilja Janitskin and the newspaper. Finally, Finnish liberal elites launched dozens of criminal investigations against MV-lehti on rather notorious grounds like "violation of copyright laws" or "libel" or "illegal gambling" (because there was a link to an internet-casino on the site). All of these are ridiculous cases and Janitskin is still not prosecuted or legally convicted of any crimes. Anyway the Finnish establishment, as well as the Finnish prosecution, have demanded his extradition from Spain. Last autumn, the Spanish police arrested Janitskin for a couple of days, but then he was released. That was a great shock for the Finnish establishment because they had prepared for his extradition. There was such massive propaganda against him in the Finnish media and they fabricated so many offensives that they didn't expect that Madrid would let him go. Therefore, as a result, Ilja Janitskin became one of the most famous people in Finland. Recently, he announced his intention to participate in the presidential elections in Finland next year. In my opinion, as a candidate, he is going to have a very strong influence. It is a very hard situation with freedom of speech in Finland. If somebody dares to challenge the liberal mainstream media, he will be immediately attacked. Janitskin`s case is a good example - the whole Finnish establishment attacked him, all political parties demanded to close down his news site, and the prosecutor demanded his extradition from Spain. They want to arrest him and put him in jail. Actually there are some documents that prove that they planned to put him in a mental institution after extradition. That is how Janitskin became one of the most interesting political figures in Finland. Now, he wants to go international and to develop his media. Ilja Janitskin is the main human rights activist in Finland who really worries about the ordinary Finnish people. Finns have lost their income or are suffering from the economic crisis and are unsatisfied with politics. He is now the leader of a new political movement in Finland - that is obvious.